Cinco de Mayo is right around the corner. 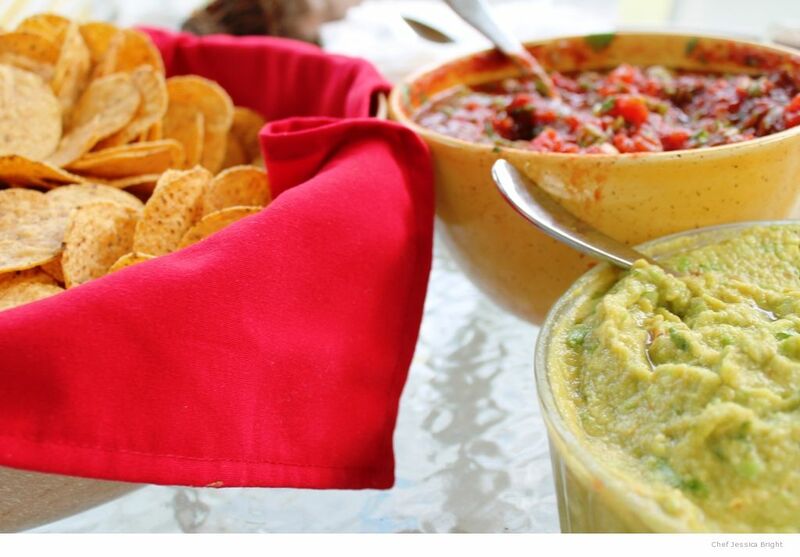 If you want a quick, simple dip that is perfect for the occasion, guacamole is your answer. Just a few ingredients are added to avocado to make this creamy, yummy dish. If you aren’t familiar with avocados, these green fruits grow on trees and are actually large berries. There are many varieties available though the Hass is the most common. This variety is originally from California and is often called a California Avocado. 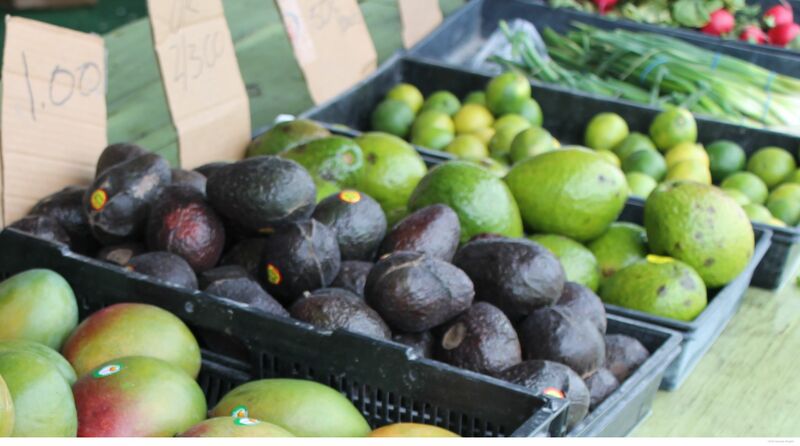 In recent years the Slimcado, a variety originally from the West Indies, has had a huge increase in availability as it has become so popular among South Florida farmers that it is often referred to as the Florida Avocado. Though this larger variety (with a smoother skin) boasts reduced fat, it also has a higher water content and I personally think it is a little disappointing when used for guacamole. For best results I recommend you go for another variety. Before you make your guacamole you’ll want to make certain your avocados are ripe. They don’t need to be mushy, but a slight give on the surface is a great indication that they are ready. If you purchase your avocados before they reach this point, you can store them at room temperature and they will continue to ripen- I keep mine in my fruit bowl. Once they seem to be getting soft, either use them or put them in the refrigerator. They go from ripe to overripe (and brown inside) very quickly. When you are ready to cut into your avocado, they are a cinch to peel. First completely remove and discard the knob that attached it to the branch — you don’t want that to end up in your dip! Then cut around the fruit, all the way through to the pit. Use a spoon or avocado scoop to scrape the fruit from its skin. Dice or mash to your preference, adding the lime juice to prevent browning. There is a rumor that adding the pits will keep it from browning, but that doesn’t really seem to work. Though the resulting bowl of green mush isn’t necessarily beautiful, it is incredibly delicious! The perfect dip for tortilla chips or fresh vegetables. Peel, seed, and mash avocados with the lime juice. Add remaining ingredients and mix thoroughly. Add more salt if needed.